"For everyone that heard of my situation and cried out for change in the way society view[s] second chances, or giving someone another chance, or for restorative justice, thank you greatly," Charles said. A former prison inmate whose lease application was recently rejected despite television personality Kim Kardashian West's offer to pay his rent for the next five years in advance, has found a new home. 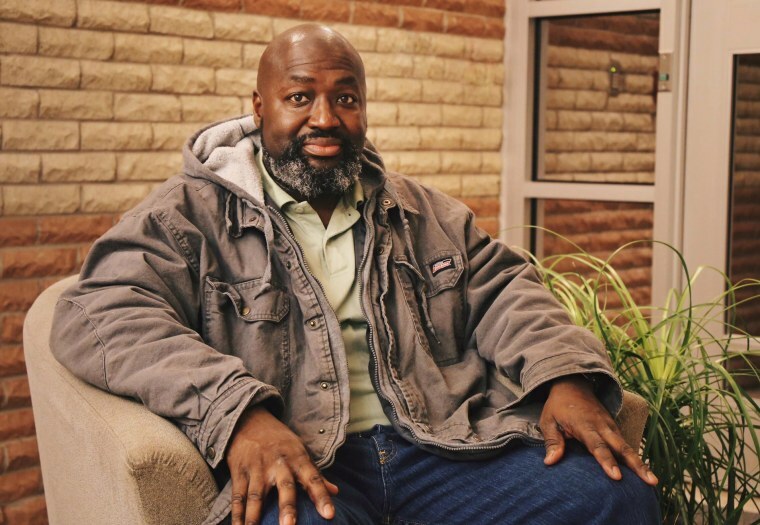 Matthew Charles, 52, was one of the first people released from prison under a criminal justice reform law signed by President Donald Trump in December. Charles thanked Kardashian West, her rapper husband Kanye West, and others in a statement over the weekend about his finding housing in Nashville, Tennessee. "I am glad that Kim has stood with me since her hearing of my inhumane reincarceration situation back when I was ordered to return to prison," he wrote in a Facebook post accompanied by a picture of a single key that he said was to his new place. Earlier this month, Kardashian West said Charles was denied housing because of his criminal record — even after she offered to pay his rent upfront. She asked that any landlords in Nashville willing to give him "a second chance" to please come forward. In a statement to NBC News earlier this month, Charles reflected on the difficulty he faced in securing housing since his release. "It’s tough for a person with a criminal record to find housing even though you’ve paid your debt to society, and have made significant changes in your life," he said. "As a nation, if we want to reduce recidivism, we can’t make it hard for people coming out of prison to succeed." Charles was 30 when he was sentenced to 35 years in 1996 for selling drugs and illegally possessing a gun. He spent more than 20 years in jail and authorities said he was a model inmate. He became a law clerk in prison and mentored other prisoners. In early 2016, a federal judge granted him early release. But federal prosecutors fought the ruling and an appeals court ordered him back to prison two years later to serve nine more years. A judge ordered him released from prison in January for the second time in three years, just weeks after Trump signed the First Step Act, a bipartisan effort that eased mandatory minimum drug sentences. Charles has said he considers himself lucky to have so much support. "For everyone that heard of my situation and cried out for change in the way society view[s] second chances, or giving someone another chance, or for restorative justice, thank you greatly," he said.